I'm just finished this collage. I'm happy on the process of making collage. It's so addictive and fun! I do it last night, and wanna post it in this great Friday! Not really a serious project actually, but I'm just fall in love with the process of making. So, let me tell you about collage I made. hihi. :p this collage entitled "Commodity of Young Girl's Body". Just telling you all about an activity of seeing young girl's body in a bad way. 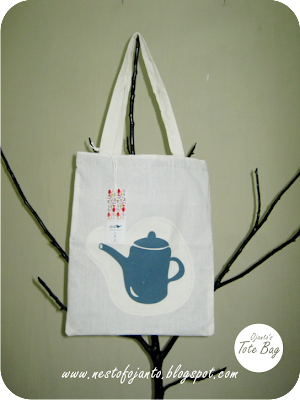 We called it here "Bajuli" maybe if you know about Javanese Language, you'll understand! haha.. I think it is so personal to tell you all about this story! Woww!! 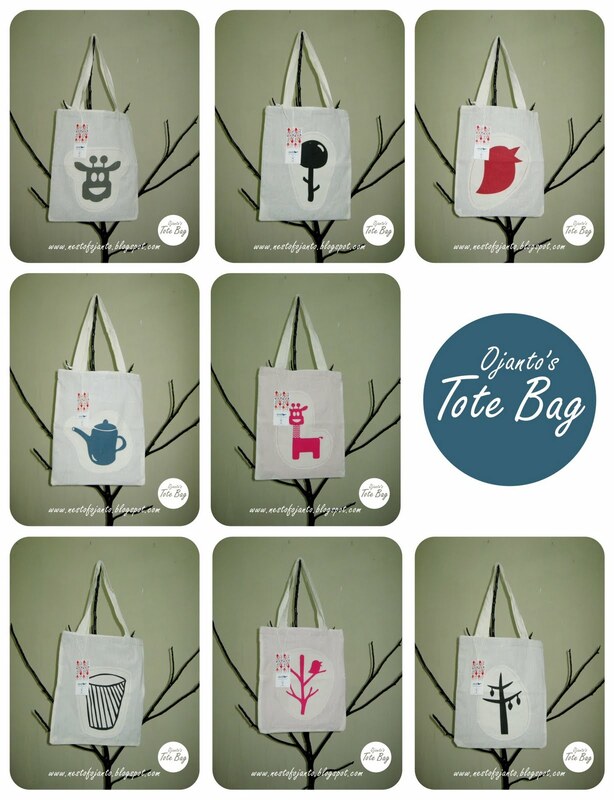 It’s a kind of undescribe feeling when seeing the tote bags born. Finally, this project can be finished to produce, and now it’s time to come around you all. 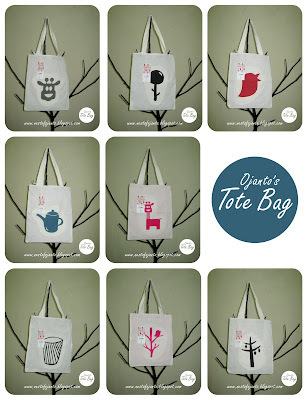 Have a visit to www.nestofojanto.blogspot.com or our Facebook page (Nest of Ojanto). The second design of hand-stitching tote bag is sandal and shoe. The idea comes when I think about the stuff that protecting us from ground. That stuff are only sandal and shoe. Thats why I just put my sandal and shoe to be design of this hand-stitching tote bag. 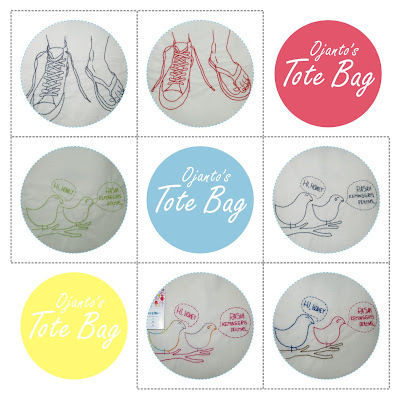 Another kinds of our tote bag are involving screen-printing process. Single image was printed in fabrics, and we cut according to the line of image. 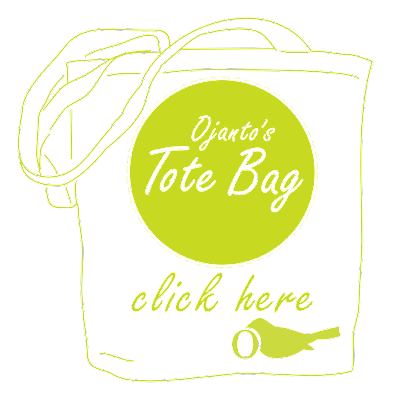 Then, we cut it and sew it above the tote bag. 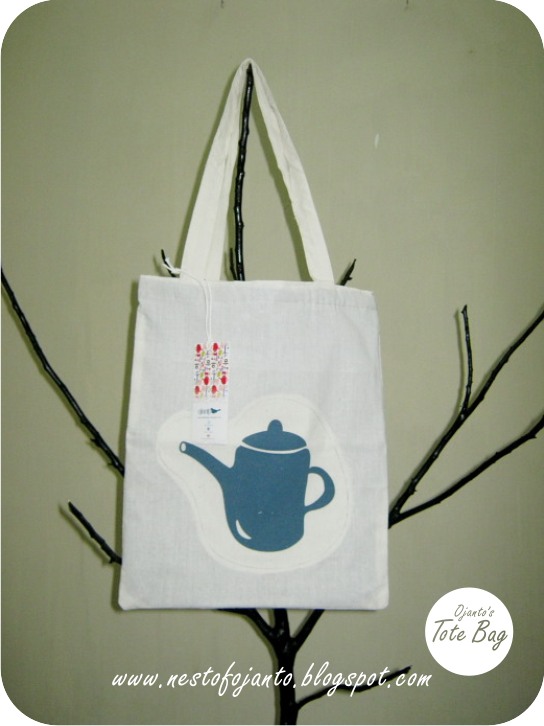 Another tote bag using screen-printing process is pattern tote bag. 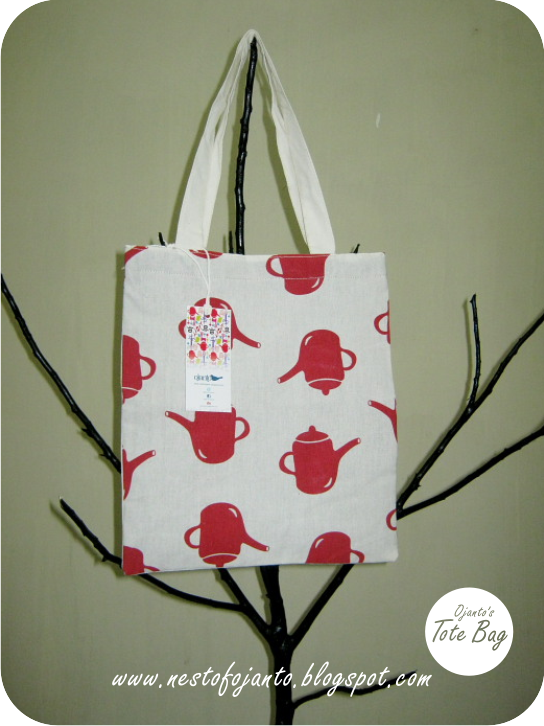 As always, I make some simple pattern to be printed in fabric! I’m so happy because little of my dream comes true. 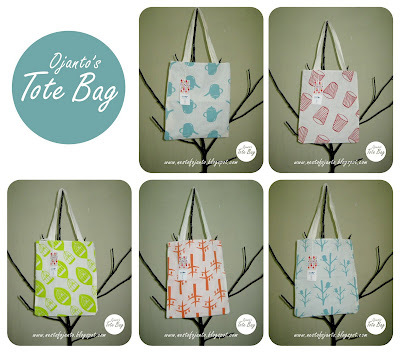 (Limited) Ojanto’s Hand Stitching Totebags! The concept is simple. I want to make something simple to be something out of nothing, special, and personal in simplest way. 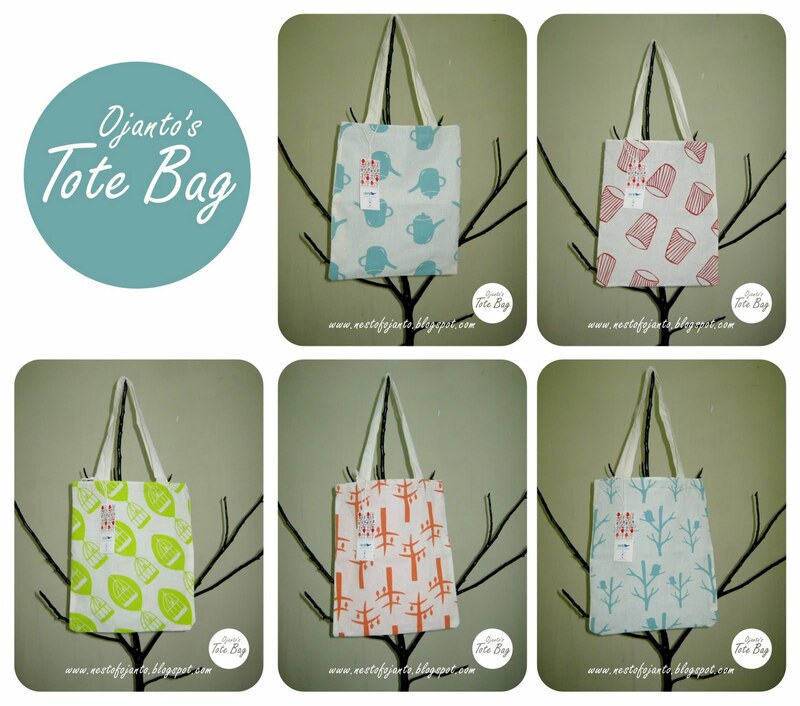 The idea of making tote bag comes so fast, so I just execute it!! I choose simplest materials I ever met, we call it “Kain Blaco”. 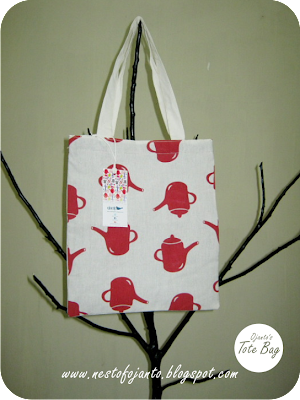 I’m not gonna show you plain tote bag with simplest material. I use hand stitching across the lines. The graphic I made will tell you any kind of stories, discourses, etc. So, it’s not only about totebag with hand stitching, but we provide stories behind it. Hand stitching is simple, but I need some help from Putri to finish all. Thank you so much, Putri :-) God will give you something equal to your kindness. Hehe..
For the first term, I will publish 2 designs. First, please welcome “JOG CREATIVE CITY”. It tells us about the city I lived in for last 5 years – Yogyakarta. I just thought that this city is a creative city, because this city has its own creative way to develop city in many aspects. We can also see that this city has a good progress on creative industries. And the most important point is the people open minded to respect difference, so that they don’t need to worry about something new. 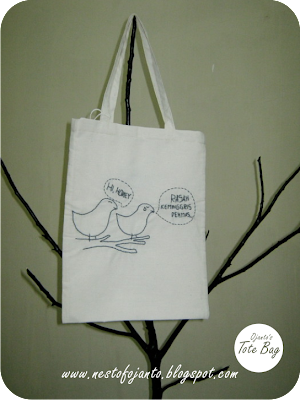 The second design entitled PESAN PISU. Pesan means message, Pisu ( I took it from sub-language of Java called Bahasa Walikan) means mother. So, it will tells us about a message offered by most of mother in Java to their son. 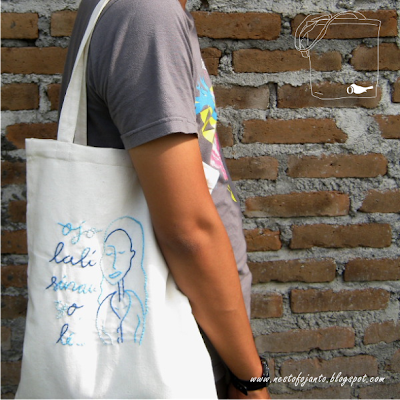 Content of the message is “Ojo lali sinau yo, Le..” means “Don’t forget to study, Son..”. This is the way I expressed something to say. 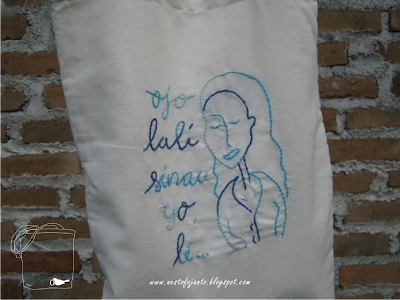 I use tote bags and simple hand stitching to send my messages to people. Enjoy the pictures! 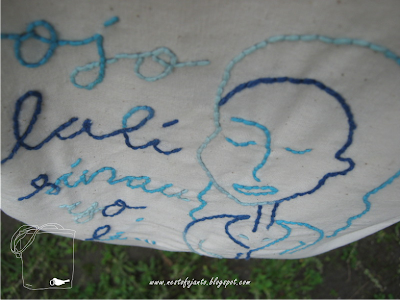 For more pictures have a visit to our facebook page, or www.nestofojanto.blogspot.com .